I started Midnight Witch by Paula Brackston yesterday. So far I’m enjoying it, but I kind of expected to considering how much I enjoyed The Witch’s Daughter. 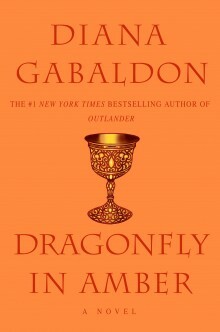 I’ve got several books on the go, including Diana Gabaldon’s Dragonfly In Amber . This one is a slow slog for me for some reason. Maybe because I keep getting distracted by new and shiny :D.
Plus my many fanfictions, lol.